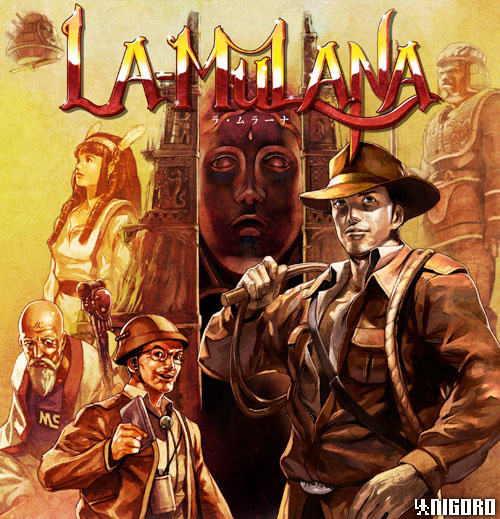 If you've been keeping an eye on the La-Mulana blog, you should be aware that Nigoro is very much in touch with its fans. When the game was still in development, the team asked its fanbase about music, potential censoring and many other things. With a USK rating in tow and a final lotcheck all that remains, the game's release should — at last — be with us imminently, but Nigoro has one more questionnaire for the fans, concerning how it should handle the release of the game's highly-regarded soundtrack. Likely to be released digitally through services like iTunes, Nigoro wants to know what features the soundtrack should have: how many times should each song loop, should the music be recorded from the game or the original composition program, and what bonus features should be included? If you head on over to the La-Mulana blog, you can let Nigoro know your thoughts on these questions. If the past is anything to go by, it'll take every answer into careful consideration. When and if this game does get released there better not be any glitches or other problems. Remember when Cave story finally hit Wiiware? Yeah let's have no more screw ups like that. As long as this is taking it better be perfect. Now GIMMIE DAMMIT! We've waited long enough. Ugh i hear ya release it already, Ive already loaded my wii with points, now its just a waiting game.I could always play the game to hear the music though. I don't really have an opinion for them, as i decided not to play the PC game (unlike i did with cave story) so i haven't heard that much music from it. My input is that at the moment I am far less concerned about the soundtrack to the game stuff and more interested in just getting the game. So at the moment I am stuck in that single-minded pursuit. Release the game first and then we'll see ... I mean, c'mon! All songs, no sound effects, no jingles, please. First release the game! That should be the top priority! Yes. I care not for videogame soundtracks. The only time I want to hear them is when I'm playing the damn game. So cough it up already. Let's first have the game, then we can talk about the soundtrack.